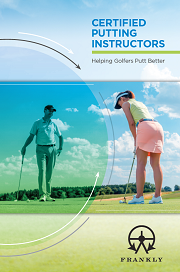 Pumpherston Golf Club’s new Head Professional Gordon Robertson is all set for success on the green, having just become a Certified Putting Instructor (CPI), enabling him to add an additional service for his club members. “The CPI Course was an ideal way to enhance the services I offer to the members. I read about it in the PGA of Scotland Weekly Updates and a friend did it and had told me about it. Robertson also enjoyed what he learned from the CPI Course and looks forward to passing it onto his members because in his new role he is able to do more teaching. Hailing from Airdrie, Robertson was introduced to the game of golf by his dad when he was only 8 years old. He pursued playing the game, but 7 years ago had to make a decision. Robertson was fortunate to become an Assistant at Airdrie Golf Club, completing his PGA training under Simon McLean. PGA Master Professional John Mulgrew, who was pivotal in the establishment of the industry-standard PGA Director of Golf qualification, was delighted to hear the news. 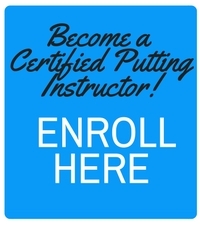 “Further education is important for all professionals, I would like to congratulate Gordon on attaining the Certified Putting Instructor (CPI) Status,” said Mulgrew. Now, Robertson wants to serve his members in the best way possible and build relationships. “I started as Head Professional in March and it’s really been all about establishing the business and putting my own stamp on it. I have spent lots of time getting involved in the club, getting to know the members and looking after them.